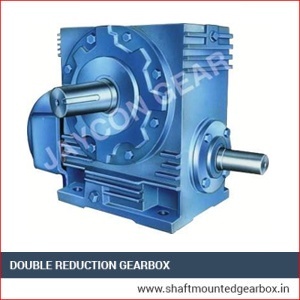 We are the well-known Double Reduction Gearboxes manufacturer,Shaft Mounted Gearbox and supplier of India. We manufacture them with premium quality materials and components and cutting-edge technology in compliance to the industrial standards. Our expert engineers design them as two phase worm reduction components to fulfill the in-hand procedure requirements. 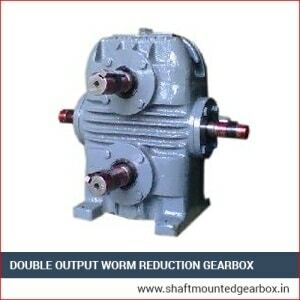 The principal worm reduction component is mounted fundamentally on regular single reduction worm reducer. They are widely applied in the industries manufacturing cranes and hoists, Packaging machines, Conveyors etc. 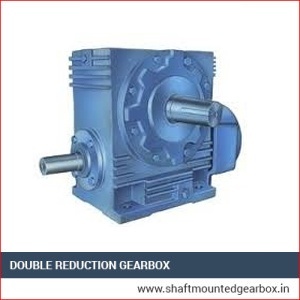 These are compact and easy to install & maintain, ideal for huge reduction in speed as per the requirement of the slow movement of the machine. These excellent performance gear boxes are very cost-effective and we offer them at excellent prices.